Some of you might have seen on your trundles around the world wide web a new football site called In Bed With Maradona. If you haven't visited yet you should check it out. 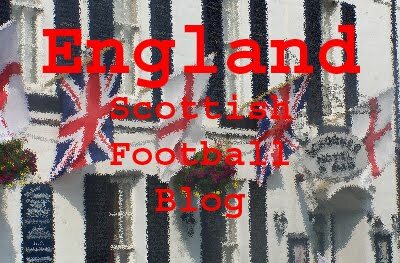 You'll find a new section has been added called "Scotland" and that's where you'll be able to find my fortnightly missives on the state of Scottish football. Given their almost total lack of exposure anywhere else my first article deals with the season ahead for Rangers and Celtic. Nice to give a shout out to the minnows. The early season international break seems as good as place as any to dive into this new, regular run-down of events in Scottish football. After just three rounds of fixtures there’s still uncertainty about the season ahead. But some things never change. Already Rangers and Celtic sit atop the SPL. They’ll remain there in May but it’s too early yet to predict who’ll have the bragging rights at the end of season. As is traditional in any discussion of the SPL I’ll be concentrating on the big two here. But I’ll do you a deal. Unless something spectacular happens over the coming weeks I promise that neither Rangers nor Celtic will appear in the next three installments of these fortnightly ramblings. There's an ever growing roster of writers on In Bed With Maradona and I'm delighted to be part of the team. It's a site for football fans, pure and simple and is developing into quite a resource. 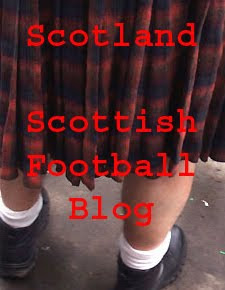 A guest post from a concerned Partick Thistle fan. Seems the Jags Trust, Scotland's first supporters trust and an instrumental force in saving Thistle, isn't as welcome as it one was at Firhill. ...but that doesn’t seem to be the view at Partick Thistle, where the first supporters trust in Scotland was set up in 1998 after the “Save the Jags” campaign prevented the club slipping into administration. 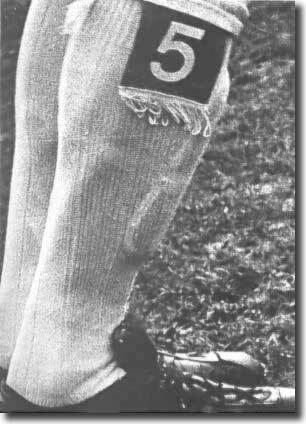 The Jags Trust’s reward back then was to be gifted one fifth of the newly created shares in the club and a promise of a place on the board. 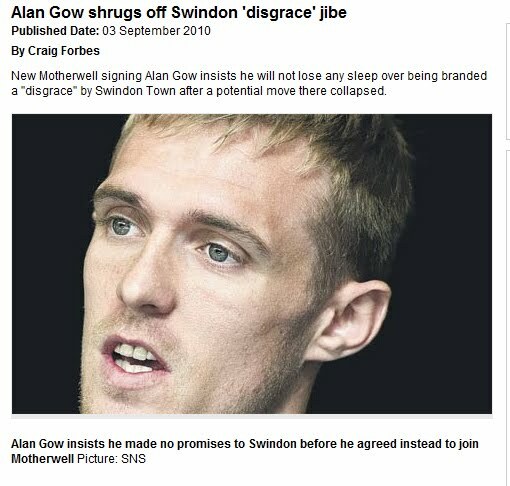 This new dawn for Scottish football saw hard working directors Brown McMaster and Tom Hughes being gifted the same amount of shares as “custodians”, in order to make sure that control of the club could never again be held by one individual and the club would never again sleepwalk into a financial crisis. Fast forward to 2010, where the club has just told the Jags Trust (after discussing the matter at two recent board meetings) that its latest board nominee has not yet been invited to join the board. This doublespeak (they’ve not said no, just not said yes) seems to indicate that the club now has a problem with the concept of supporter representation on its board, at a time when Stirling Albion’s move to fan ownership has only recently been announced. To the outsider looking in, the trust’s announcement on its own website holds little in the way of a clue as to what the heck is going on in the Firhill boardroom. The club chairman, Allan Cowan, who was instrumental in the 1998 fans campaign, has reportedly told the Jags Trust that it needs to “concentrate on activity which directly benefits the club”. This is confusing, since, amongst other activities in the recent past, trust members voted to merge their own, profitable fundraiser, with the club’s new scheme, allowing the club to take direct control of an income stream that is vital to continuing to pay its debts. Jackie McNamara’s loan signing last season was funded by the trust, prompting the chairman to say “without their financial assistance we would have been unable to bring Jackie to Firhill at this point and our grateful thanks are extended to the Jags Trust”. It seems that as one boardroom is being opened to the fans at Forthbank, the door at Firhill is being closed in the face of an active and supportive trust. At least two board meetings have now taken place with no representative of the fans present, a development that can only be viewed with suspicion in the absence of any reasonable explanation. Thistle fans are entitled to wonder what on earth is going on in the boardroom that will not stand the scrutiny of their representative, while fans of other clubs with a place in the boardroom will now be looking over their shoulders in case the habit is catching. Conspiracy theorists will no doubt watch this with interest – here’s hoping that it can be sorted out soon and that it will all turn out to be a misunderstanding, because if it isn’t then there’s a clear message to Thistle fans that they are not welcome at the top table. With football fans across the world desperately searching for the latest transfer news and Jim White doing his man-on-the-verge-of-a-nervous-breakdown-because-of-the-excitement-of-it-all routine, today seems like a strange day to schedule a national cup draw. Especially one that sees Rangers, Celtic, Dundee United, Hibs and Motherwell feature for the first time. But Scottish football’s administrators are a strange bunch so the Scottish Football League held the draw for the next round of the Co-operative Insurance Cup at Hampden this afternoon. I dare say Jim White will be able to muster more excitement for the news that Ryan Babbel has gone to the toilet today than a lot of people will for the lesser of our two cups. But still. Someone’s going to have a Hampden party at the end of all this. Two all SPL ties as Mixu’s Killie take on Hibs and Celtic and Inverness reignite their cup rivalry. Tricky trip to Brechin for Motherwell, Raith might fancy a wee drive up to Pittodrie and Dunfermline won’t be greeting at the thought of an Ibrox payday. Just thought that I’m probably not supposed to list the fixtures. So I’ll not tell you when they’re being played. But it might be a good idea to keep Armenian Independence Day and the American Business Women’s Day free this September. Part two of this weekend's spectacular six. All four of our European dream teams are in action. A prospect that makes the mouth water. Last week United were involved in one of the strangest European confusions I've seen since a holiday rep offered me a day trip to the world famous continent of Morocco. In tricky circumstances they acquitted themselves not too badly against a team that is, simply, better than them. A slow start to the season though and that makes a trip to Tynecastle a bit daunting. Home win. How do you defend a two goal lead in a European second leg. I wouldn't look here for answers. No clues about winning a home tie against nine men either. But some standard SPL fare to get us all back on an even keel. We'll have that by the bucket load. Scoring draw. Hibs seem to be the TV choice of the moment. Understandable given the 16 goals scored in their four competitive matches so far. Unfortunately they've conceded 11 and only scored five. Rumours swirl around Anthony Stokes, a transfer that would leave John Hughes a bit short handed up front. In the meantime they might just secure an away win today. So far: Bad day at the office yesterday means it's only 6 out of 15.